It also gives wearers a literal edge over would-be assailants. Walking alone at night in any major city always poses a certain amount of risk. But given the current political climate, and the frequent clashes between far-right-wing provocateurs and their anti-fascist opponents, times are particularly tense on the streets of Portland, especially for women, people of color and the LGBTQ+ community. It's a fact Snarla Hazard is keenly aware of. Last month, the local jewelry designer became a target of online harassment by the Proud Boys for a Facebook post she made mocking the far-right group's founder, ex-Vice editor Gavin McInnes. "I got 40 threatening emails from individual Proud Boys before I shut my Facebook account down," Hazard says. "I'm hoping if I'm out of sight, they will move on." Inspired in part by that experience, as well as the krav maga classes she recently began taking, Hazard created the BlackThorn Defense Bracelet. 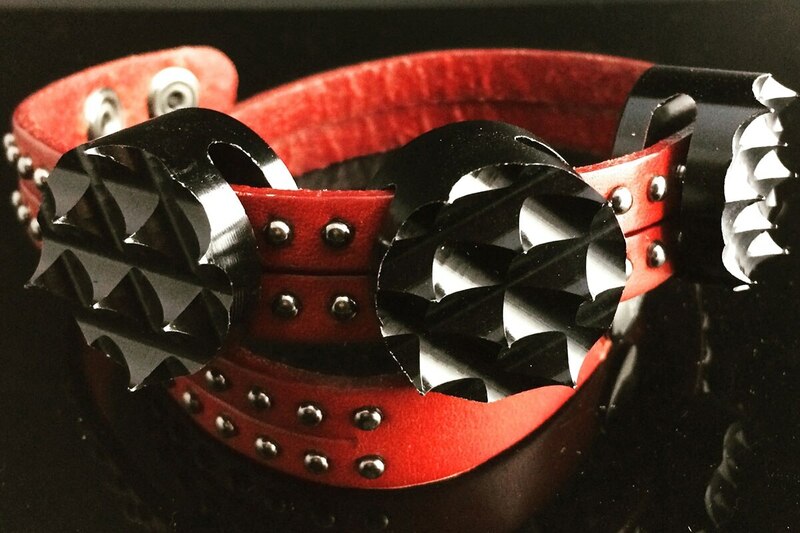 Not only is it an edgy, punk-inspired fashion accessory, it also gives wearers a literal edge over would-be assailants. Hazard loops three "baubles"—serrated aluminum lumber-gripping pucks—through a split and studded leather bracelet, which can be used to break a chokehold by digging the baubles into an assailant's wrists. (Each order comes with an instruction manual demonstrating the technique.) It's designed to be effective when the wearer's autonomic responses are delayed in fight-or-flight situations, a common response that might render self-defense tools like pepper spray or keychain defenses ineffective. I met Hazard at Anna Bannanas in St. Johns to see how the bracelets work. I wore a thick cotton sweatshirt, and the BlackThorn's spikes still dug into my skin, leaving cuts that looked and felt like deep kitten scratches. The baubles are worn under the wrist, giving wearers both the advantage of surprise and a real risk of pricking themselves on accident. When I tried the bracelet on a Guess windbreaker with polyester cuffs and a John Varvatos denim jacket, the results were slightly different. The spikes penetrated the windbreaker's cuffs less than the sweatshirt, but I could still feel them. On the denim jacket, I felt small pricks that did not leave marks, but the applied pressure was more unpleasant. Hazard says even if the BlackThorn doesn't penetrate certain materials, the baubles wrap around strategic pressure points, forcing the assailant to release the wearer through pain compliance. "In a situation where someone is trying to attack you," Hazard says, "they're going to see a bracelet, not a weapon of self-defense." Hazard's demonstrations and my home experiments all took care not to go so far as to try to actually hurt me, applying intentional pressure with no real struggle. I suspect the BlackThorn handles differently when you are actually trying to keep yourself safe. Frankly, the spikes—which don't reveal themselves as anything more than a diamond wave pattern under direct light—are so sharp I didn't want to try much harder. Hazard makes new clasps for the bracelets when they arrive, which cuts back significantly on her own materials and labor—her hand-studded prototypes took between 60 and 90 hours to make, with customer orders taking only a fraction of that time and money. "If I get 50 orders for the holidays," she says, "there is no way I could complete their orders in time." Hazard plans to release other colored bracelets and painted baubles as she figures out her next move for growing her collection. Hazard says the BlackThorn is perfect for people with little to no martial arts training who want readily available protection at all times. "Being on your wrists like that," Hazard says, "it's always going to be there." BUY: Find BlackThorn Defense Bracelets online at blackthornbracelets.com. $35, plus shipping. 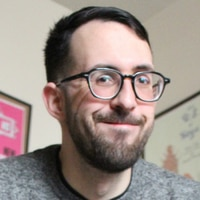 Andrew Jankowski is originally from Vancouver, WA. He covers arts & culture, LGBTQ+ and breaking local news.